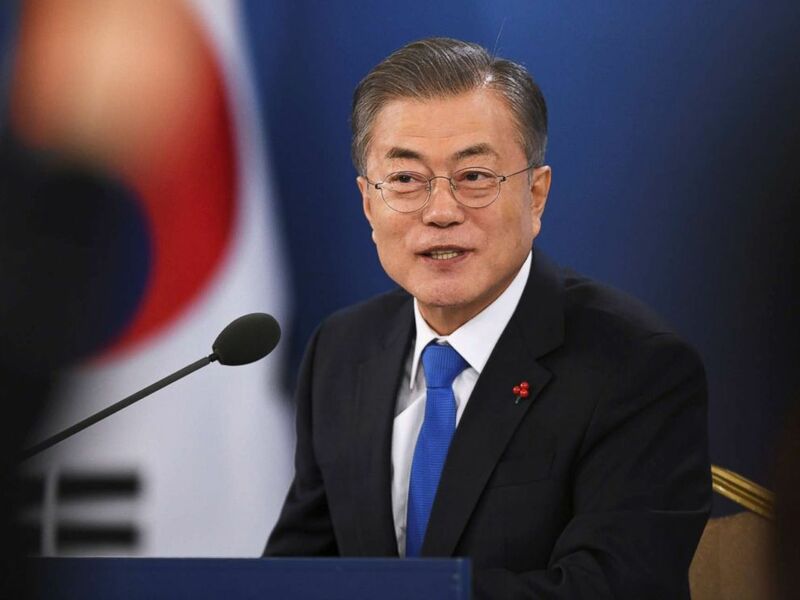 South Korean President Moon Jae-in painted a rosy picture of the ongoing denuclearization process on his nation's peninsula and said a second summit between leaders from the U.S. and North Korea could happen "soon." South Korean President Moon Jae-in holds his New Year press conference at the presidential Blue House in Seoul, Jan. 10, 2019. 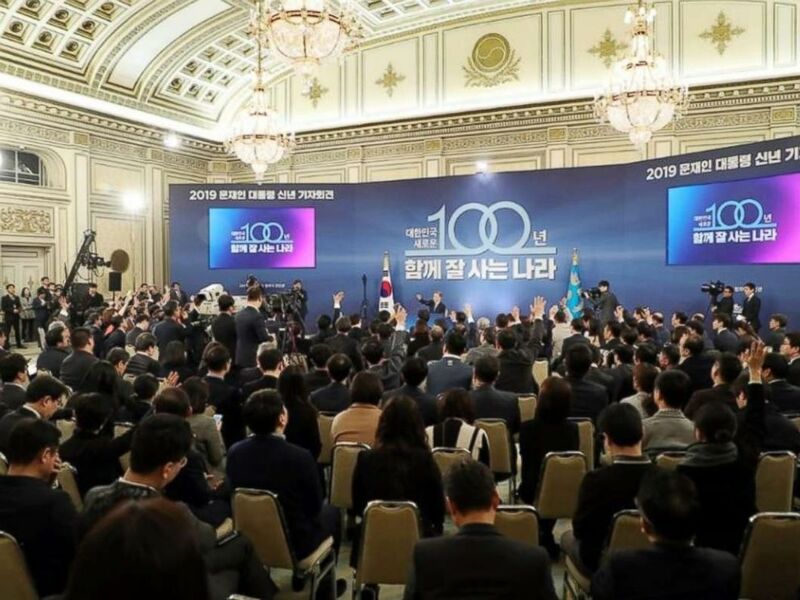 South Korean president Moon Jae-in answered reporters' questions at a New Year press conference on Thursday, January 10, 2019.